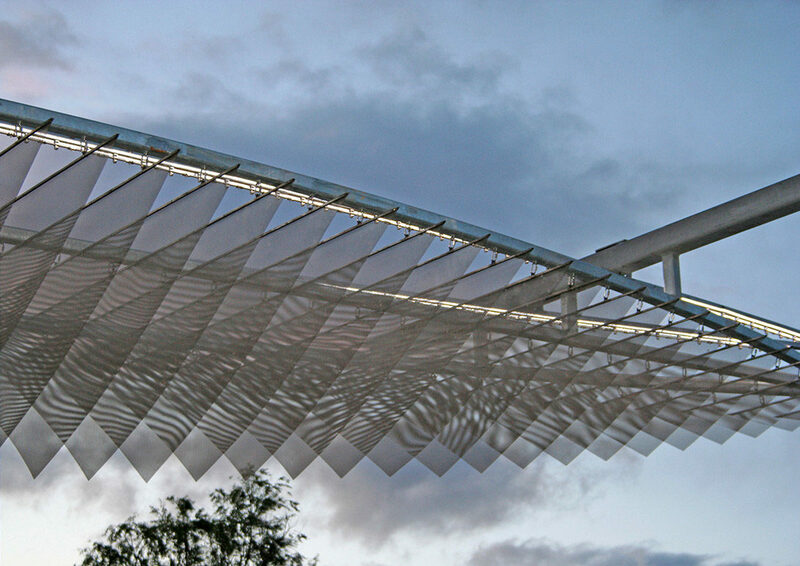 A collaboration with the landscape firm Walker Macy on the design of a park along the Sacramento River in the center of Sacramento. Ned Kahn worked with the designers from initial master planning to completion of the park. 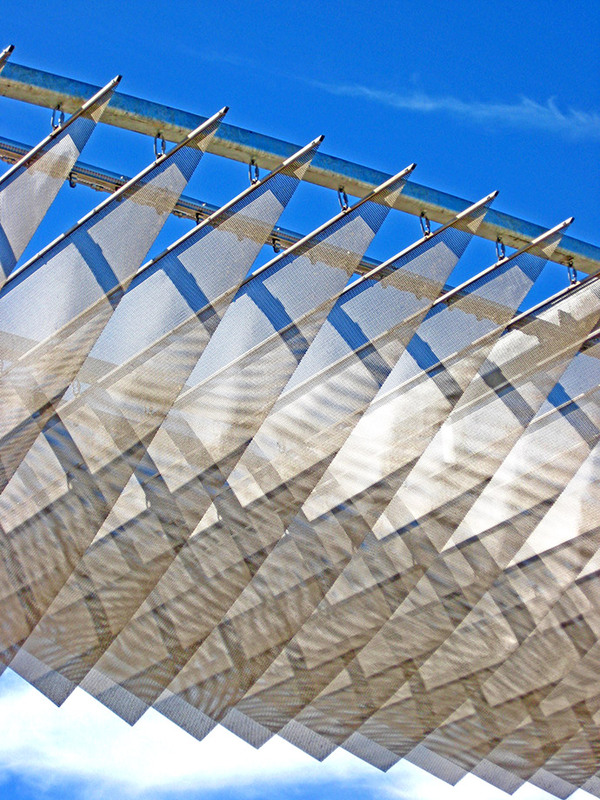 He developed an art master plan for integrating future artworks by other artists into the park. 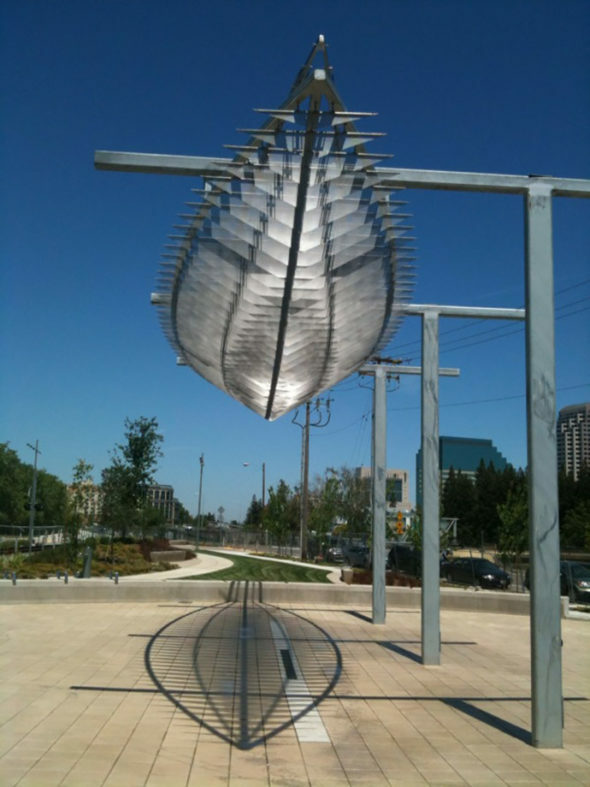 He also developed and built a large sculpture intended to suggest a boat that is fabricated out of thin sheets of perforated metal that are hinged to sway in the wind. Lights and mist sprayers are hidden between the layers. 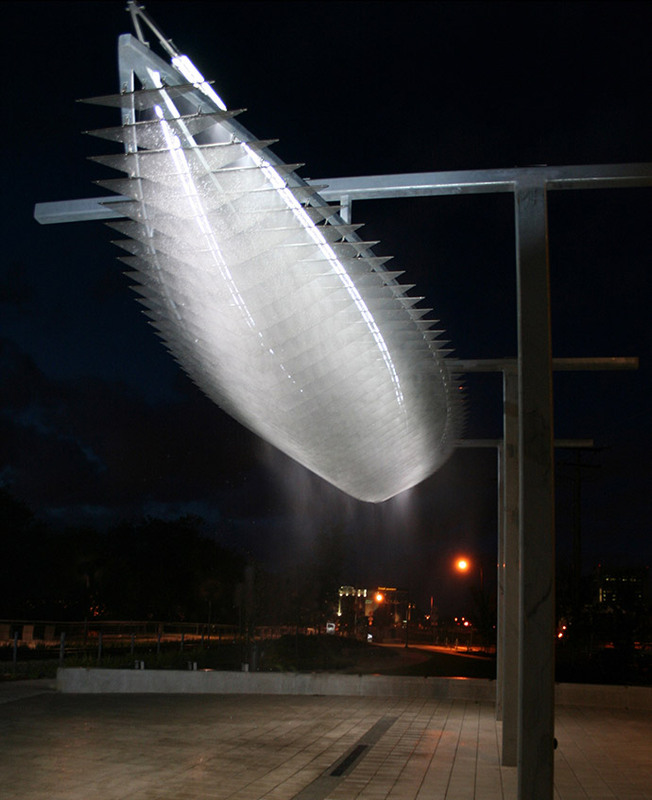 The mist sprayers serve to dematerialize the form of the boat and cool people passing underneath on hot summer days. The park was once the site of bustling commercial docks during the time of the Gold Rush. Only traces of foundations of these buildings remain. The artwork was intended to suggest a memory of this former time. Completed in 2010.